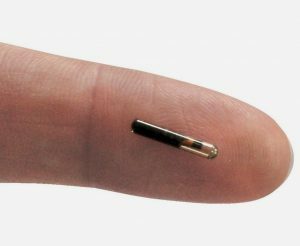 Swedish start-up hub, Epicenter, has initiated a new program which implants workers with microchips that are roughly the size of a grain of rice. These microchips, essentially, function like swiped key or debit cards, opening doors or remotely operating printers with just a wave of the hand. Of course, this technology is nothing new. Chips like this are already commonly used for tracking family pets as well as tracking deliveries. However, this technology has never before been used specifically for tagging employees on such a broad scale, like this. And Epicenter is one of only a small handful of companies who has made these chips implants broadly available to the public. Now, this is not to say that everyone is, simply, ready for such advances. There are, for example, many security and privacy issues. Also, the chips are, technically, biologically safe, but the data they store and transmit can be quite personal, sensitive. Basically, he attests, you could pretty much use the chips for just about anything which would call for NFC swiping with a debit card, security clearance card, or even your phone, for example. And the technology would not only give you access to physical things (like opening your work doors or paying for groceries) but can track your data for you (what you buy, your fitness stats in a workout, etc). Indeed, while the practical concept is not new to us, the functional—and long-term theoretical—concept is very new.